Mom can only give her best when she feels good about herself. 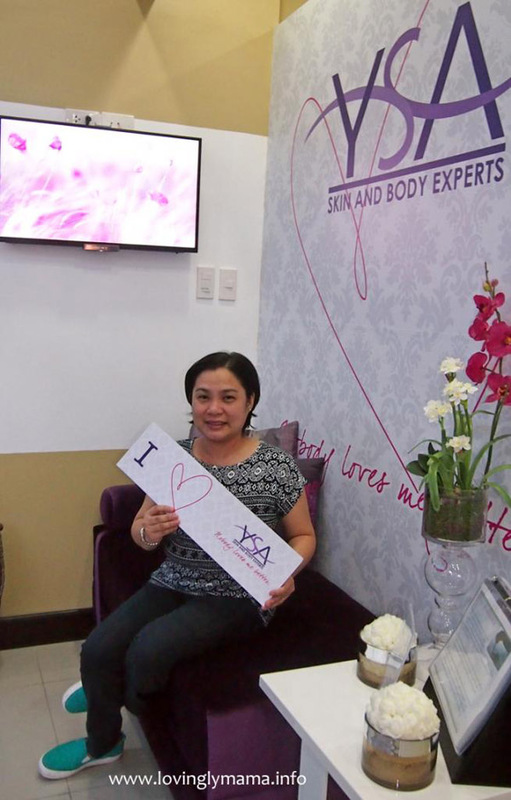 It’s about time that I treat myself and I chose some pampering at YSA Skin and Body Experts Bacolod. 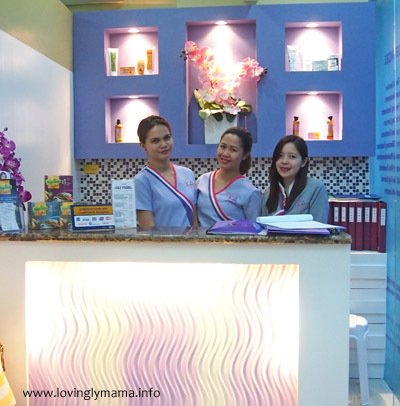 Happily posing at the waiting area of Ysa Skin and Body Experts Bacolod after my treatments. 😀 You can ask for some hot or cold drinks while waiting for your treatment. When I got pregnant with my second daughter Shane, I had breakouts on my face that I said after I give birth, I will really go to a skin clinic regularly in order to get facial cleaning and diamond peel, which is also known as dermabrasion. While I am pregnant I cannot do that yet because I am careful not to let harmful chemicals touch my face because I am with child. But in the end, I never set foot on a derm clinic, up until yesterday, when I went to the Ysa Skin and Body Experts Bacolod here at the Robinsons Place Citywalk, Bacolod City. At this point, Shane is almost 11 months old so that means it has been almost 2 years since I had a facial. Bummer. So you can just imagine how my face needs some tender, loving care. My beauty treatment package was a facial with diamond peel. My attendant, Cindy, enthusiastically explained to me the procedure of my treatments. First, I was made to wash my face using liquid papaya soap. The procedures of my facial, clockwise from top left: application of mask, application softening cream, steam, pricking, vacuuming, and laser. Then I was made to face a dresser with little fan where she applied a mask. The fan helped in drying the mask, which was then rinsed with water after about 10 minutes. After this process, I was led to my dimly-lit room where a softening cream was applied while a gentle steam was blowing on my face. It was applied with soothing facial massage strokes that I felt really at ease. The steam continued for a few more minutes so as to open the pores. From left: application of liquid antibiotic, diamond peel, and cold compress. A vacuum continued to open the pores and remove some surface dirt before the actual pricking and blackhead removal. 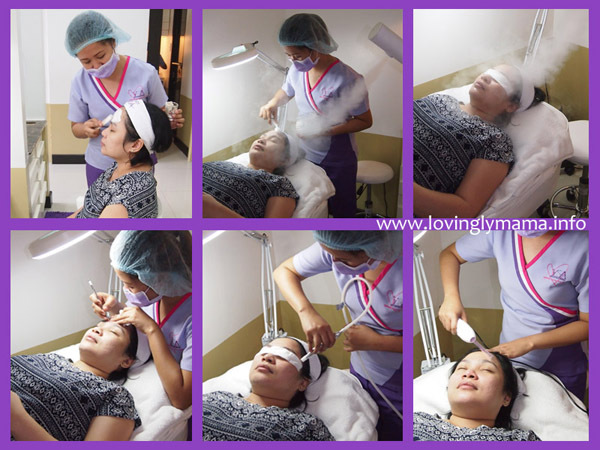 Then came the diamond peel to exfoliate the upper layer of skin. After everything was done, a skin antibiotic was applied and the pores were closed with a laser gadget. Finally, my face was treated with cold compress. My skin felt so fresh and smooth. I used to have acne that I would need steroid injections just to make the bump die down. Eventually, these led to deep scars that get deeper with age because the collagen on the skin get depleted. I was told that for optimum results, I should have a facial and diamond peel weekly for the first month, twice on the following month, and then once a month thereafter. These processes done on recommended schedule is supposed to improve my skin because the diamond peel will induce the production of collagen. But it should not be so far apart because the effect will not obvious. I wish to continue doing this for about six sessions so I’m going back there on July 15 and I hope to see better looking skin after the six sessions have been completed. Left: The wash area. Right: The treatment room. 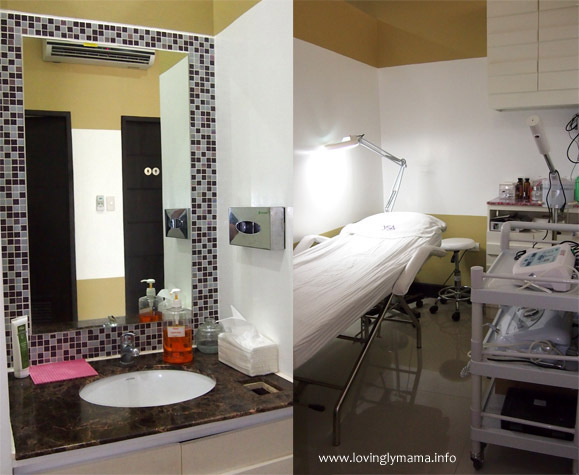 One thing that sets apart Ysa Skin and Body Experts Bacolod from other salons offering facials is that it really is a derm clinic. They have a resident dermatologist with whom you can see at an appointment. All the rest of the staff, from the supervisor to the attendants, are all registered nurses. So you know that you are in capable hands. The friendly staff, from left:Vanessa (who gamely took the photos were I can be seen), Cindy my attendant, and Wella. All of them are capable, well-trained, and registered nurses. I was sent home with the advice to use only their mild soap and cold water on my face for three days. Then I bought their Sunblock Gel with SPF 35 because I really need it and I am happy that they have it in gel form. It also has a powder finish so it is non-greasy. I love it! Ysa Sunblock Gel. Sunblock is necessary for all of us, whether you’ve had diamond peel or not. I am glad that I took the afternoon off yesterday. Super thanks to my husband who gamely looked after the kids while I was gone and who did not call me when I will go home. He let me enjoy my time off even though I took an extra hour (because I didn’t anticipate that my treatment would take longer). 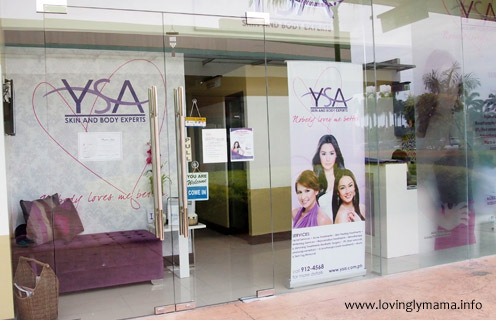 Ysa Skin and Body Experts Bacolod is located at Robinsons City Walk, Mandalagan, Bacolod City. They are open daily, during mall hours. But I’m afraid sa pricking part that’s why I’m still undecided whether ma try ko. Nka try ko before pa facial and my gawd, ouchie2x! Galuha ko! Hahaha! sometimes, moms needs to relax and pamper herself, too! it’s a reward for so much labor around the house. I never tried sunblock gel of YSA but i want to try this for me to have a whiter and clear smooth skin. I will find a Ysa Skin and Body center here hope theres one in Taguig. I have been having second thoughts about getting a facial with diamond peel. I am hoping that these procedures will improve my skin but reading derma-horror stories in the internet, where their skin condition becomes worse, scares me. It is somewhat nice to know that their staff are registered nurses; I might consider going to Ysa Skin and Body Experts when I do decide to get that facial/diamond peel. Thanks! Great day off and pampering moments. we should always set time for ourself so we could recharge and to our work as a mom again!